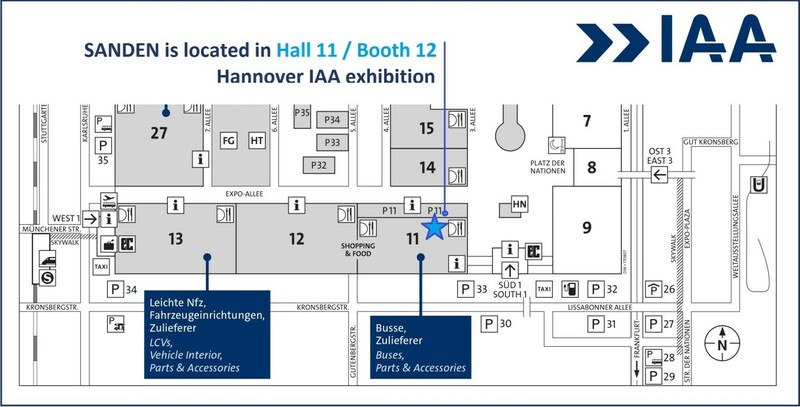 Be our guest at IAA – Hall 11/B12 September 2018, 20th-27th, Hannover! We are eager to invite you and your company representatives to visit SANDEN exposition at the leading trade show for mobility, transport and logistics. We are proud to participate again in IAA Commercial Vehicles 2018 September 20-27, Hannover, and to introduce you to our newest technology ideas and achievements. You can find us at Hall 11 / Booth 12.